Lagosounds: Tales from the Sonic Trenches: A Little Extra Time and A Few Dollars More... Pretty Please? A Little Extra Time and A Few Dollars More... Pretty Please? 2013 has been a bit of an endurance test for me. The challenges have been challenging, and though I'm grateful for the steady-ish employment, I honestly feel I need a time-out. A two month hiatus, a summer sabbatical, a weekend in wine country, an hour massage... Anything! Though the clients have been extremely satisfied with the quality of the Monkeyland sound design, the insane amount of editorial and mixing work done within these gruesomely claustrophobic schedules is straight-up frightening, particularly when most of these projects lean heavily on sound effects and design. MAX ROSE - An eighty-year-old, recently widowed piano player discovers a secret: His wife of 60 years may have have had an affair with another man. 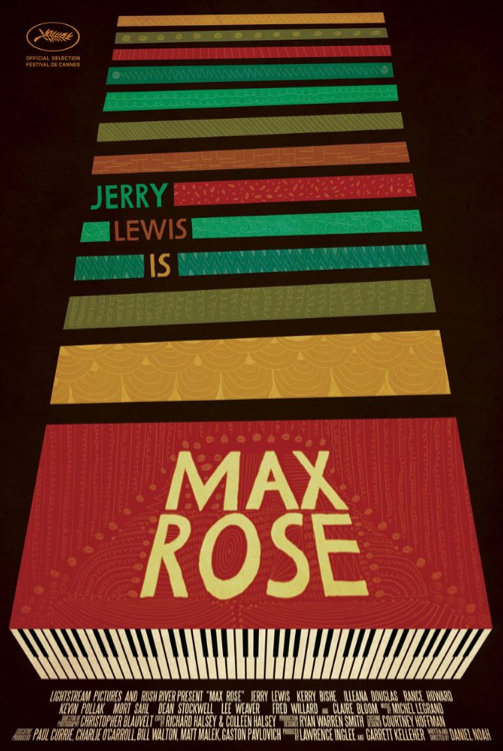 The film stars Jerry Lewis as Max Rose, and was screened at this year's Cannes Film Festival as part of a tribute to the legendary comic. I wrote a short article about our sonic journey on MAX ROSE for The Post Lab, which you can read here! 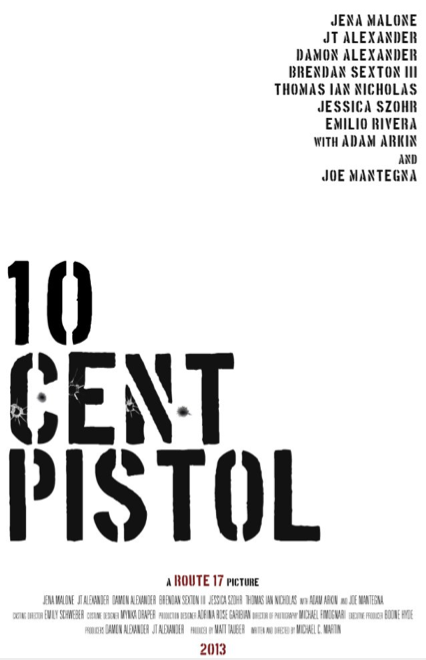 TEN CENT PISTOL - A crime noir set in gritty Los Angeles, this film follows the antics of two small-time criminal siblings trying to carve out lives for themselves in the underworld. There's a cool 70s feel to this film, and we prepped a ton of juicy sound design to help sell all the big time (and small time) action. I hope this project goes on to shake things up in the festivals. DOCUMENTARY that Shall Remain Nameless - The film indeed does have a name, but that's all I'm gonna say about it at this point. The film chronicles two filmmakers' journey into a foreign country, and the direction for us was to fully fill each and every scene for a 5.1 environment. Grueling work for a down-and-dirty documentary, but an interesting project to have worked on nonetheless. BEYOND PARADISE - A poetic love-triangle between an Armenian stand-up comic, his new bride from Iran, and a Spanish-American gardener. The ocean setting of Malibu and the poetry of Rumi play important characters here too. I also worked on two additional AFI Thesis Films this year, drama INTERSTATE and comedy THE COUNCIL. Those were also great fun to work on, and I'm happy to see that AFI is producing such insightful and talent filmmakers. It feels good knowing that most of these projects are done or nearly done, delivered or almost delivered, and getting that much closer towards distribution. On a personal note, I feel I've continued to prove a million things to myself, namely that I can successfully interpret a client's notes, wishes and direction, and fully executing on the given task. As a sound editor, it has become my creed to work for the film first. I am artistically invested in the outcome of every film I participate in, and I gratefully contribute countless hours, lots of love, energy, honest insight, knowledge, depth and punch to each show in order to help bring that film to its richest possible potential. After doing this for ten years, I'm beat! Still, I love what I do. But... I do find it a trifle discouraging that the rift between a client's often-time Utopian expectations of what they'd like their films to sound like and the relatively meager budgets and schedules continues to grow. Sometimes a client wants their film to sound like TITANIC or TRANSFORMERS, and though I love and welcome the opportunity to stretch my creative abilities, a little extra time and a few dollars more is all we really need to make magic for you. Is that too much to ask? We sound editors don't seek fame or glory, just the chance to help tell a good story through the art of sound. Many blessings and a happy rest of the year!